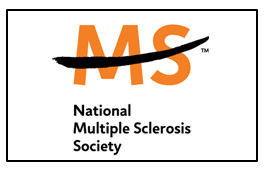 May 18-19 2019 – Entry includes both days. Saturday practice and Sunday competition. 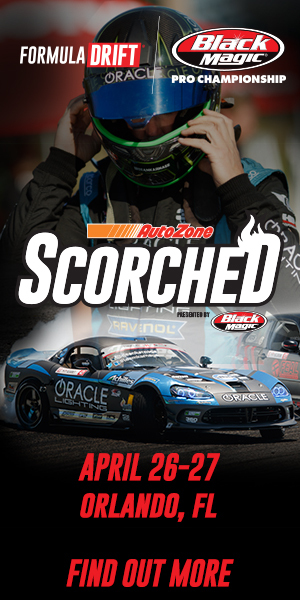 As we come to a close to the 2018 TopDrift series, we are introduced to three drivers who earned their Formula D Pro 2-License. 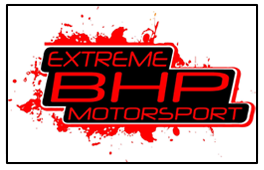 TopDrift is a four round series held by JustDrift and goes based on a points system similar to Formula D. The main crucial judging points are speed, line, angle and style. Depending on where you place in each round, a certain amount of points will be added. 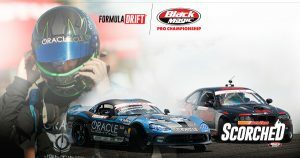 At the end of round 4, all the points are added and only the top three will receive their Formula D Pro 2-License. 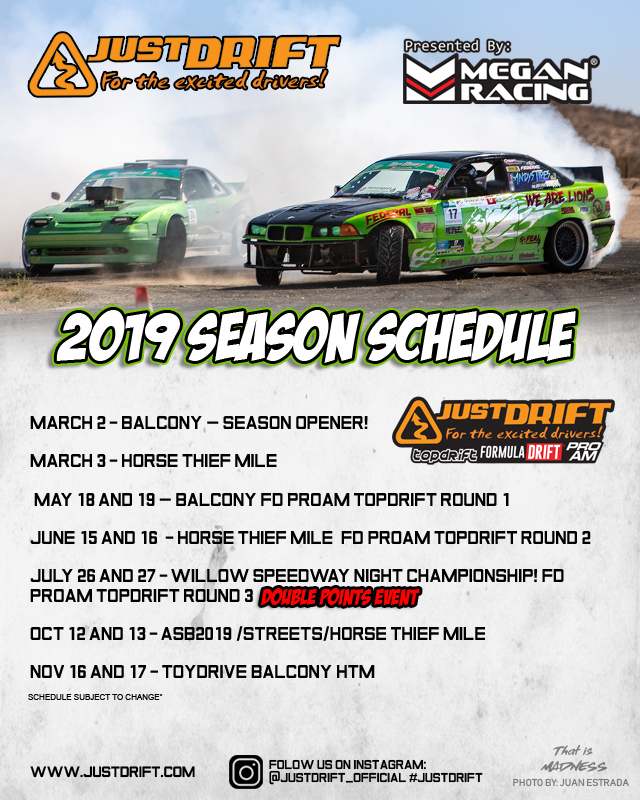 As we get closer to the 2018 TopDrift FD ProAM championship held by JustDrift LLC. We start to see drivers take it to a whole new level for the win. 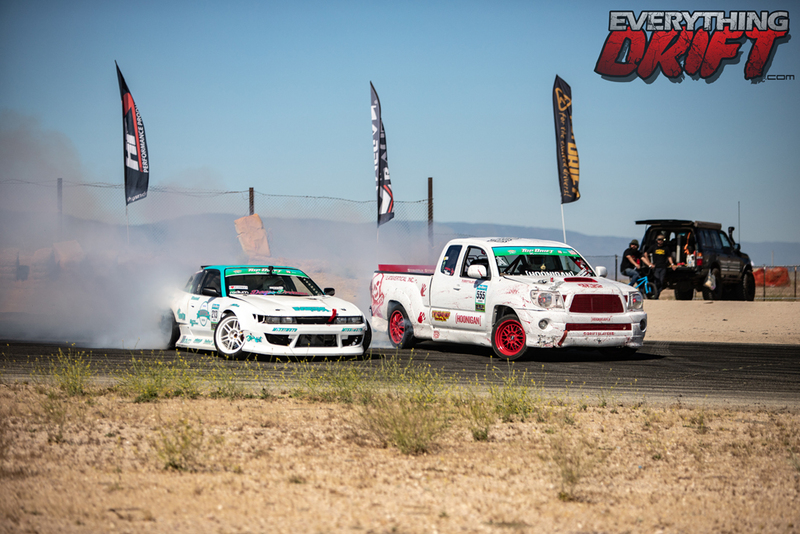 TopDrift round 3 was held at Walt James Stadium in Willow Spring International Raceway. Sunblock was a must as the weather forecast for June 2-3, 2018 was at 100 degrees with no clouds to offer shade in between. 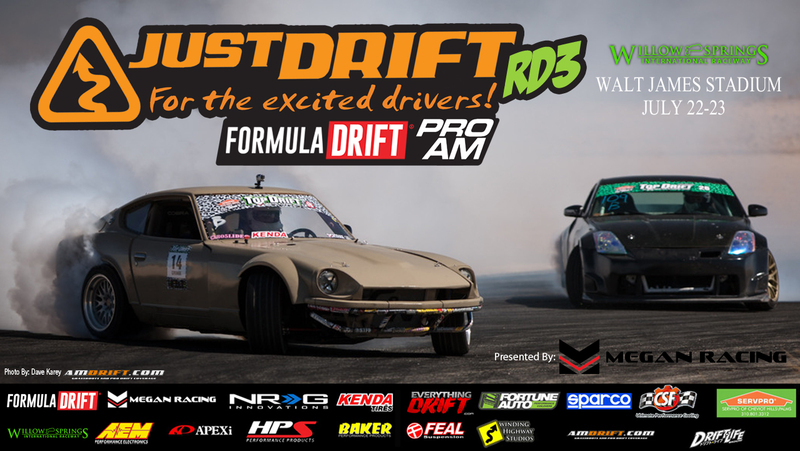 Just Drift TopDrift Formula D ProAm Rd.3 Registration now Open. Registration is now open For Rd. 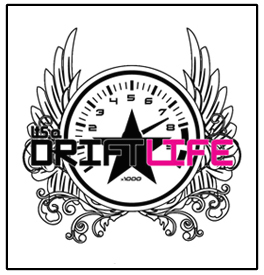 3 of Just Drift‘s TopDrift Formula D ProAm Series presented by Megan Racing. 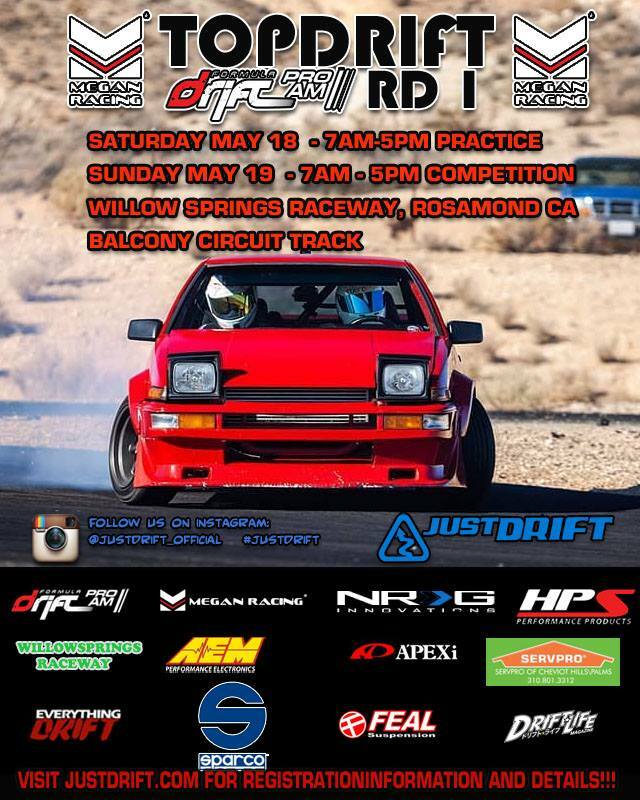 This round of competition will take place at the Walt James Stadium track out at Willow Springs international Raceway. 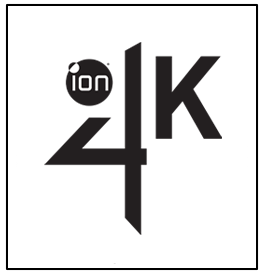 Event registration can be found HERE. 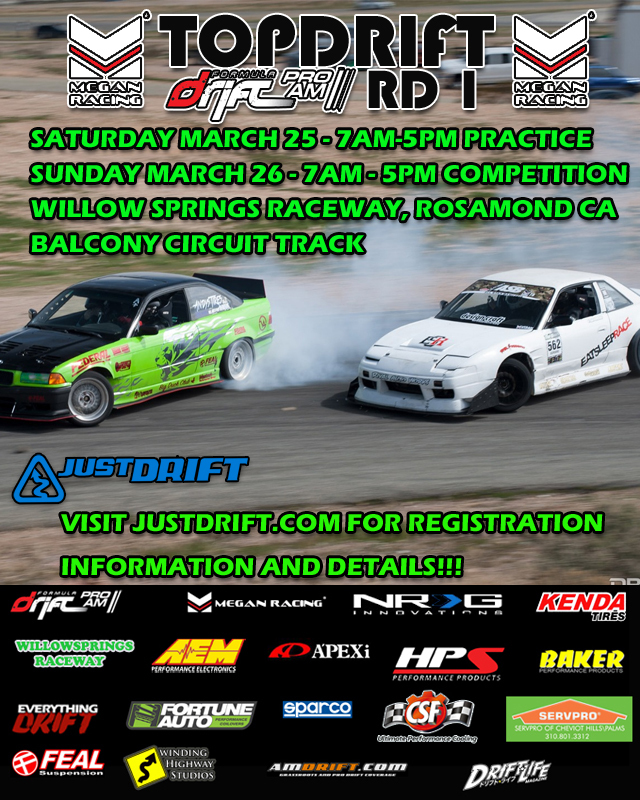 Just Drift kicks off their 2017 TopDrift Formula D ProAm season out at Willow Springs International Raceway. The event will be held on the Balcony Track.